It is a force-sensitive user interface feature which detects the amount of pressure you have applied. It replicates the long-press or right click feature on the touchscreen devices. This intuitive interface works by taking into account the amount of pressure exerted on the display i.e. when you tap the touchscreen on your device normally and when you are applying some pressure. 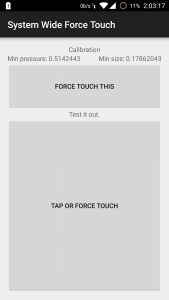 How to Implement Force Touch on Android? This will only work if you’ve rooted your Android device. Enable the Unknown Sources from the Security settings. Install Xposed Framework and reboot your smartphone to activate it. 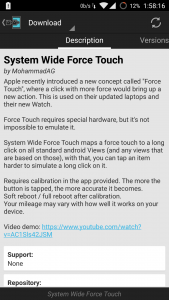 Open the Download section in the Xposed Installer app and search for System Wide Force Touch and download it. 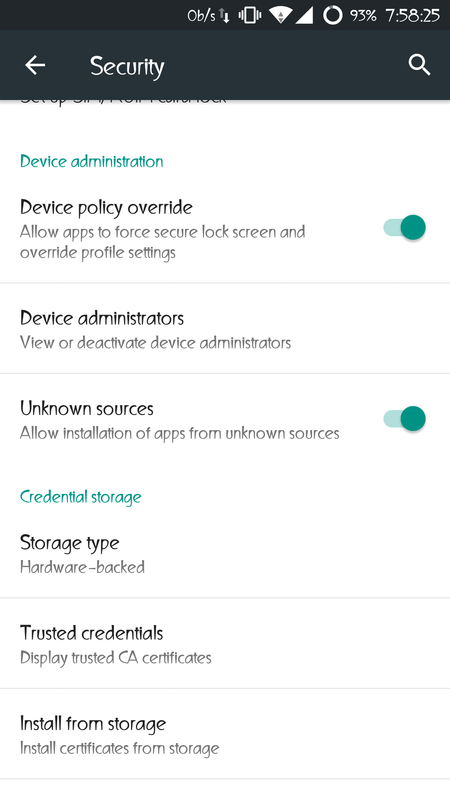 Navigate to Modules section of the Xposed installer app and activate the module and reboot your device. Touch the top button to calibrate the screen and use the button on the lower half of the display to test things out. After calibration, reboot once again to activate the Force Touch gesture system wide. Force Touch gesture will be activated once you reboot the device. To test it out, press any button or any link with a little more pressure than usual. This gesture works in all apps and works the same way a long press would work. 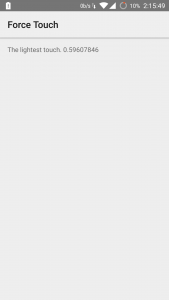 This app just simulates how a force touch input works. It tells the difference between soft press and a hard press. Unlike the previous app, it does not need a rooted android device. There is nothing special about Force Touch and it is not going to save you a lot of time at the end of the day. It is something new that Android users want to experience on their devices. Remember, it is a hardware-based feature and the above mentioned steps are just workarounds to get it working on Android devices. Just don’t break your screens while trying to get a taste of Force Touch!